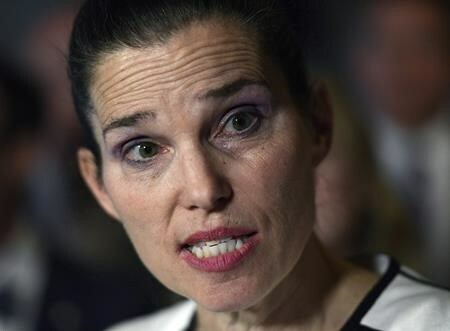 OTTAWA — An outside body to investigate allegations of abuse and harassment in amateur sports is hung up on legalities, says Sports Minister Kirsty Duncan. Last week, Duncan announced a new code of conduct for handling abuse allegations in sport, from community teams to national sports organizations, but critics say it’s toothless. Cheryl Hardcastle, a Windsor, Ont., MP and the NDP critic for sport, has been calling for an independent investigative body for some time. Hardcastle said she thinks Canada should follow the lead of the United States, which has established the U.S. Center for SafeSport. The non-profit organization allows athletes in the U.S. Olympic and Paralympic movement to report sexual abuse, provides information on abuse-prevention techniques and policies, and keeps a public database of coaches and other sports figures disciplined for sexual misconduct. In an emailed statement, Duncan wrote that a third-party mechanism for investigating complaints in Canada is in the works but “legal and jurisdictional issues” need to be considered and that her officials are working with provinces and territories. But establishing that independent body for abuse allegations requires “support and collaboration between federal–provincial/territorial governments and the sport community,” wrote Savoie. Like other provinces, Alberta has been in talks with the federal government about how to reduce abuse in sports and recently hosted Canada’s sports ministers at a conference in Red Deer. They discussed the possibility of “a mechanism to report and monitor incidents of harassment, abuse, and discrimination in sport,” wrote Marion Nadar, a spokesperson for Alberta’s culture ministry. Nadar wrote that the ministry isn’t aware of any legal or jurisdictional obstacles that would prevent the creation of a third-party body to hear complaints. The provincial ministry that handles sport in British Columbia referred questions on the issue to the federal government. Ontario’s ministry condemned abuse in sport and said that province is working on a sports action plan but didn’t answer questions about problems with a third-party investigative body. Duncan’s announcement came shortly after a CBC investigation found over 200 coaches in Canada have been convicted of sexual abuse in the last 20 years and another 34 cases involving coaches are before the courts.